Oliver began working with indigenous Finno-Ugric peoples in 2009, after attending a Finno-Ugric youth forum in Kudymkar (Perm Region, Russia) as a speaker on cultural tourism. Inspired by this event and by the untapped potential of Finno-Ugric collaboration, Oliver joined the board of the Youth Association of Finno-Ugric Peoples (MAFUN) as a representative from Estonia (2011-2013). During this time, Oliver initiated the programme of Finno-Ugric Capitals of Culture which was established in 2013 and which, under the leadership of URALIC Centre, continues to evolve. In 2012, Oliver attended for the first time the UN Permanent Forum on Indigenous Issue (UNPFII) as a representative of MAFUN. A year later, Estonian Ministry of Foreign Affairs succesfully nominated Oliver as an independent expert to the UNPFII for the term of 2014-2016. 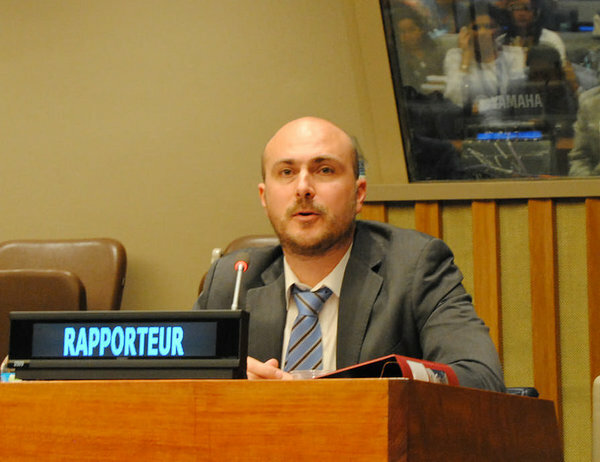 During these years, Oliver served as the Permanent Forum’s Vice-Chair (2015) and Rapporteur (2016), leading key aspects of UNPFII’s internal reforms of its work methods. Between 2015-2017, Oliver worked at Minority Rights Group International (London) as Head of Cultural Programmes where he oversaw a large EU-funded project to promote minorities’ and indigenous peoples’ rights in the Middle East and North Africa via street theatre and other cultural expressions. Since 2014 Oliver has also been collaborating with the Estonian Institute of Human Rights. Prior to immersing himself in indigenous peoples' rights and issues, Oliver was a tourism development and marketing consultant, focusing on cultural tourism and place marketing. Oliver holds a B.Sc. Econ in Economics degree from the University of Pennsylvania.